Plumber Booterstown, when you need help fast just call us, our team of R.G.I. 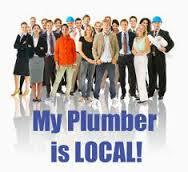 registered plumbers are always ready to help you. We provide a fast, professional and efficient range of plumbing services in Booterstown and the whole of County Dublin. We are available 24/7-365 days a year to cover any plumbing problems you may have. We can have a plumber to your front door within 60 minutes day or night, this is our promise. About the team at Plumber Booterstown. Our team don’t just cover emergencies, we undertake all plumbing works in Booterstown and the surrounding areas. We are happy to offer free no-obligation advice and quotes to everyone. We have been established for over 2 decades now and have experts with over 30 years experience in the private and commercial plumbing industry. This experience means we can always help you. We stand over our work with our “plumbers Booterstown” guarantee and we are fully insured with public and professional indemnity insurance. All of our staff are hard working, reliable and 100% focused on producing high quality results and providing friendly service to our customers. All of our team at have had their qualifications rigorously checked. We make sure that they have the relevant tools, skills and experience to attend to any of our customers. Also all of our staff are R.G.I. gas safe registered. Your local team of Booterstown plumbers provide all of the following services. We cannot fit everything on the list but even if you can’t see it you can be certain we can fix the problem. · 24 hour emergency plumber Booterstown call out service. · Central heating systems, boilers, tanks, thermostats, pumps repaired or replaced. · The installing or repair of baths, sinks, showers, bidets, wet rooms, taps and toilets. · Gas boiler servicing by an R.G.I. accredited engineer. At Plumber Booterstown we don’t do hidden extras. We do not charge for call outs, we offer free no obligation quotes. Our charging is completely transparent. We don’t have hidden fees or charges and we do not charge traveling time or parking fees. Our vans are always stocked so there is never a need to be “picking up parts.” If you need a plumber in Booterstown call your local team today on 01-2844921. We provide a one stop shop for all your plumbing services.